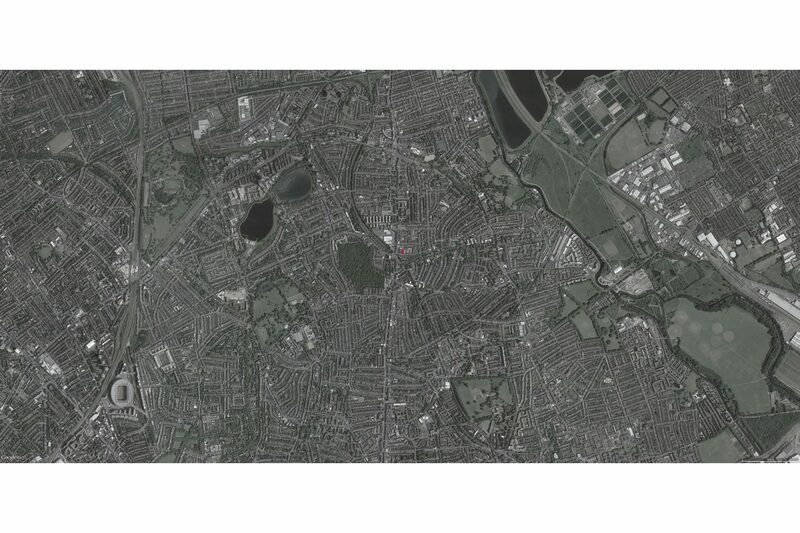 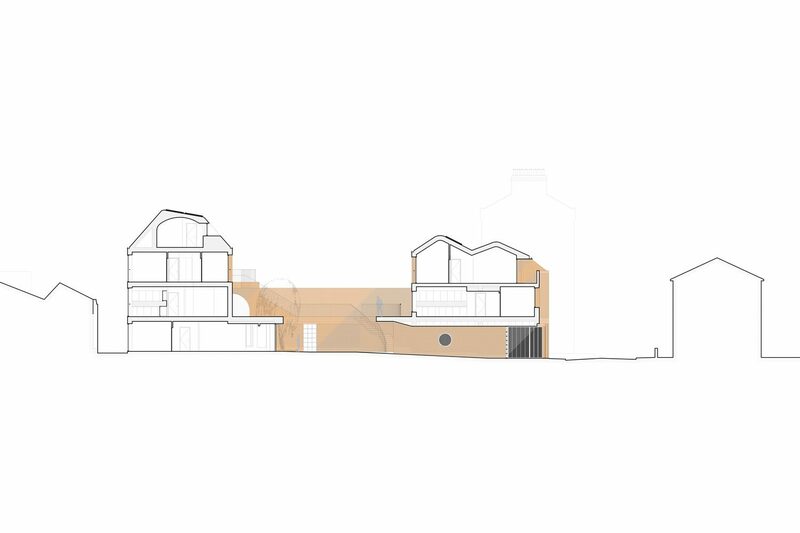 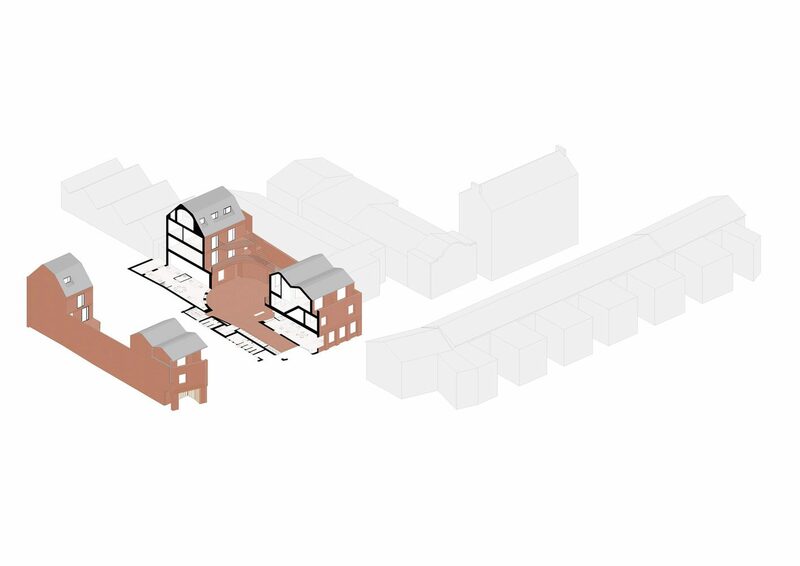 In a narrow and deep plot in a residential street in north London, the proposed nine residential units and one commercial space replace a large derelict storage facility. 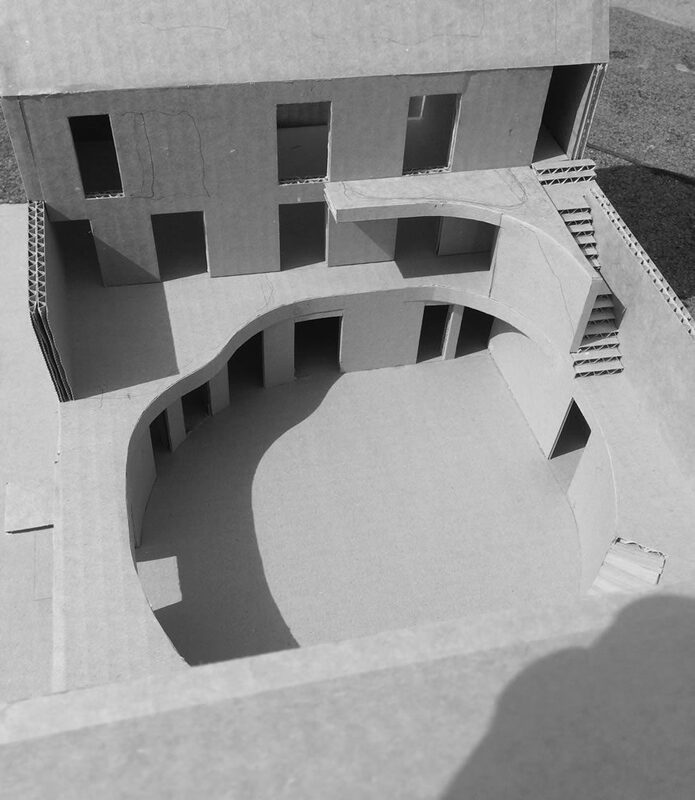 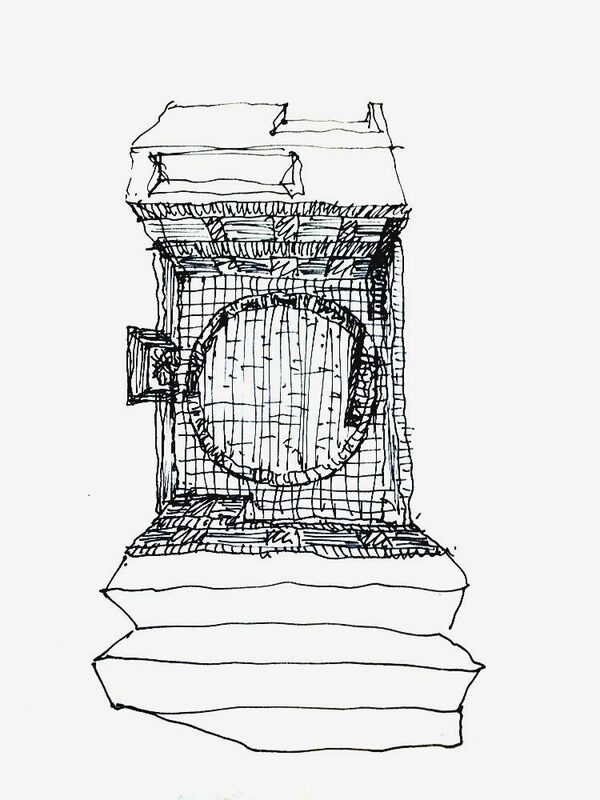 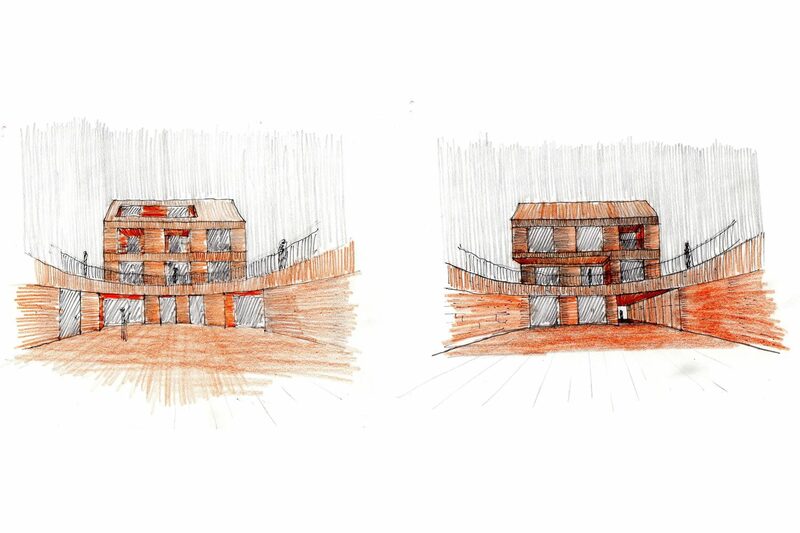 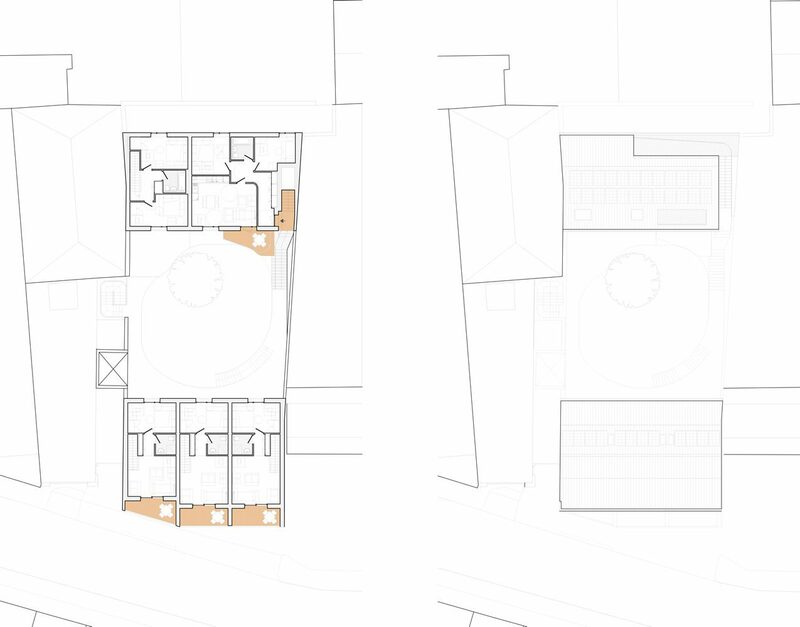 The courtyard within is the centre of the project – a place for social engagement, bringing together whilst setting apart the front and rear house, striking a balance between community urban living and domestic privacy. 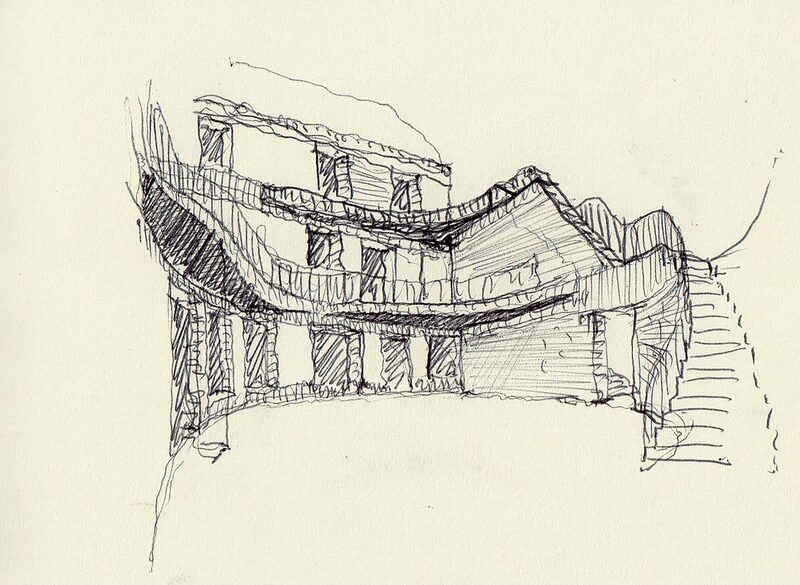 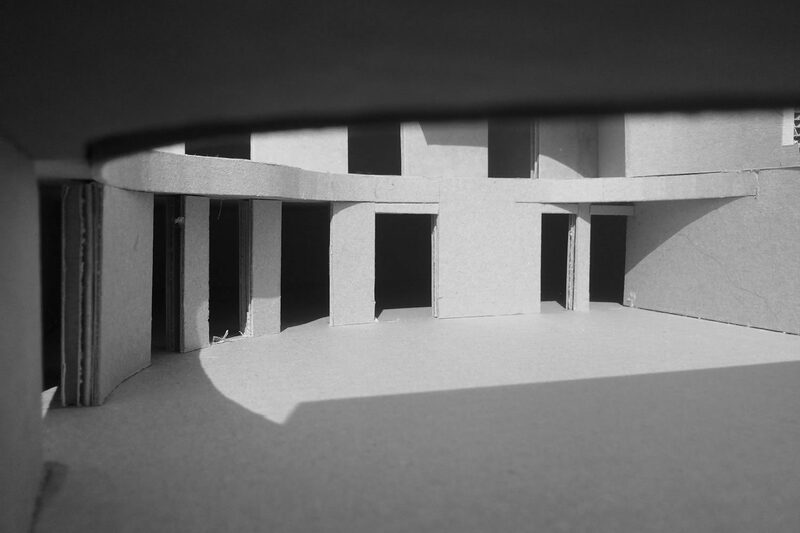 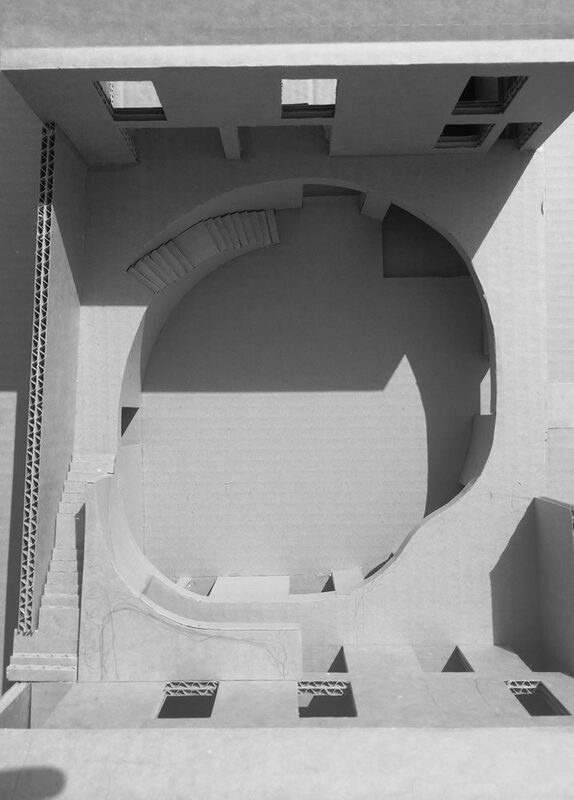 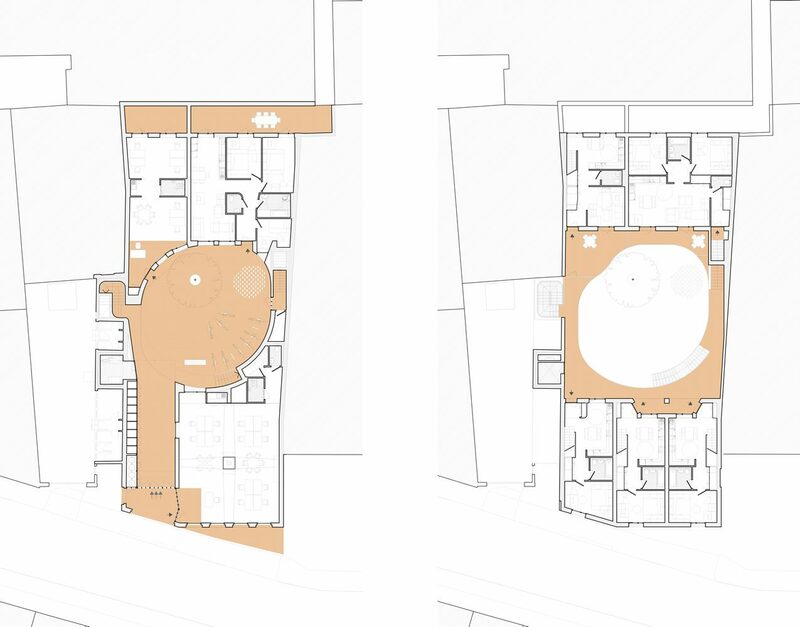 At ground floor level, the circular courtyard sits within the rectangular void between the front and rear building, exposing the movement of people throughout the several levels of communal circulation.